Dragon: Dragons are legendary creatures, typically with serpentine or otherwise reptilian traits, that feature in the myths of many cultures. There are two distinct cultural traditions of dragons: the European dragon, derived from European folk traditions and ultimately related to Greek and Middle Eastern mythologies, and the Chinese dragon, with counterparts in Japan, Korea and other Asian countries. The two traditions may have evolved separately, but have influenced each to a certain extent, particularly with the cross-cultural contact of recent centuries. The English word "dragon" derives from Greek δράκων (drákōn), "dragon, serpent of huge size, water-snake", which probably comes from the verb δρακεῖν (drakeîn) "to see clearly". Eyes: Yellow, narrow and reptilian like. Body/Physical Appearance: Brownish green to blue scales with green spikes running down its back. It has stubby little feet and arms, and a black tongue. Its flesh is rough, yet elastic. A type of wingless dragon, Shrougaz, or simply 'Gaz' for short, is a Lindworm. No one is sure if the beast is male or female, but it often speaks as if it is masculine, so Gaz more than usually refers to itself as 'him' or 'his'. 'He' is rather intelligent, able to communicate languages well in a light, raspy voice similar to hissing. The creature isn't opposed to introducing itself or even travelling through mortal villages. In truth, Jemial is one of his favorite places to hang out. Just a word of warning, never make fun of it's 'stubby arms'. Swallow: This beast has the ability to swallow a full sized ox, despite its size; thanks to its elastic like skin and manipulable bones and unhinging jaw. Bind: It can wrap creatures in its prehensile tail, coiling and gripping them like a snake. Notable Nicknames/Titles: The Hungry, God Queen of the Red, Mt. Risa's Guardian, Mistress of the Amaine, The Old One. Eyes: Yellow, narrow and an odd mix of reptilian and mortal in nature. Hair: dark red, only visible in certain spots. Body/Physical Appearance: A large, reptilian beast with thick legs leading to four toed hind claws, slender long arms with five human finger like claws, a long neck, a rounded scaly face with large back swept horns, a well rounded girth with a thick, long reaching tail with a hardened spade like spear tip. She has large, narrow and calculating eyes, as if she constantly judging those who seek her out, with long dark lashes; the scales around her eyes are dark, giving the almost mortal impression of 'eye shadow'. Her large wings are able to fold back and be out of the way like most dragons. Her scales are a deep crimson color, with a lighter red and scaly underbelly. Her teeth are triangular, but conical in form, dull and rounded as the teeth are used for grasping and crushing rather than tearing; leaving her to swallow much of her prey whole. She has five fingered claws as mentioned before, which can tear through the strongest of shielded tank armor, as well as grasp things with her opposable thumbs. Her scales themselves render most small arms almost useless, save heavy penetrating weaponry. She speaks with a haughty, low feminine tone that is both soothing and condescending at the same time. 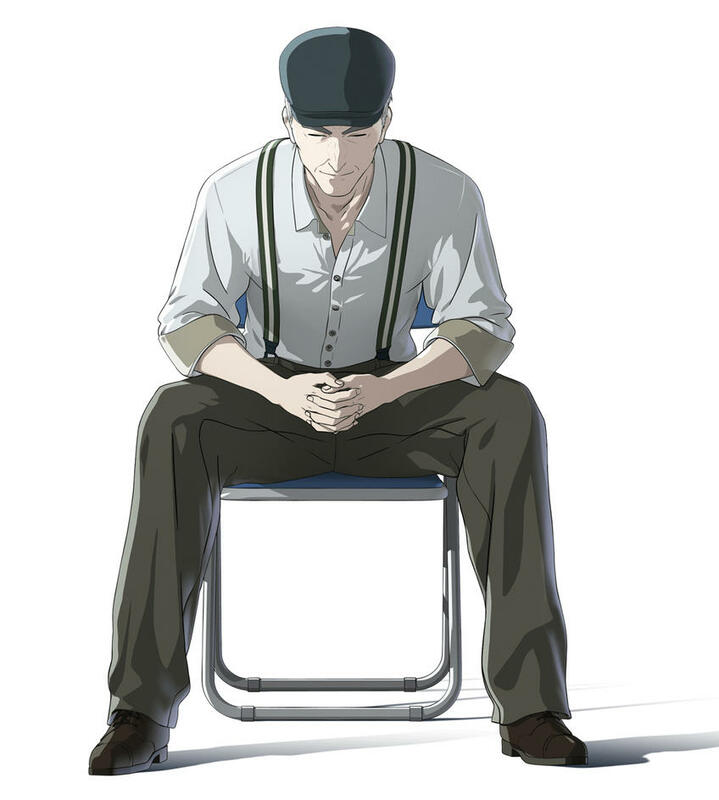 Hometown: Amaine Forest, Gailden but has since been more prominently credited to live around Mt. Risa. On a personal note, she is a Dragoness who is sworn by her word, she'll keep her end of any bargain that is made, though one must be very specific with the terms of their agreement, because like a leprechaun she will see through it's loop holes. She is also an 'acquaintance' of sorts with the Director of the T.I.R.S., Mikaru Shinitase whom Amaines has some shared history with. Prized Possessions/Personal Items: Her treasures and horde. Swallow: A dragon of her size can easily swallow creatures smaller than herself whole. In fact, she doesn't 'chew prey', but swallows them whole as per her normal diet. Wind Storm: She can produce hurricane level gusts by rapidly fluttering her large bat-like wings. Quake: Her weight caused the land to quiver and shake as she moves upon land or when she makes landings. Re-Birth...: In certain circumstances, after swallowing a mortal or humanoid creature, she could gestate them rather digest them, and will lay an egg in which they will reemerge rather than a dragonling. In some cases, it is possible those who have emerged from the egg have undergone a mild draconic power, but it's never happened in her time. Fire breath: She can breath and spew fire from her maw that has enough heat to melt titanium into a bubbling pool. Hallucinogenic Smoke: She can exhale a plume of sulfuric gas that is hallucinogenic, causing disorientation, double-vision, weakened physical prowess, and uncontrollable coughing. This acts on the target for as long as they are exposed to the smoke, but generally clears up within minutes after leaving the site of exposure. Hair: Black fur, black fins. Body/Physical Appearance: A large, reptilian beast with thick legs leading to four toed hind claws, slender long arms with five human finger like claws, a long neck, a rounded scaly face with large backswept horns, a well rounded girth with a thick, long reaching, lion like tail with black fur. She has large, narrow and calculating eyes, glowing with an unearthly yellow glow. 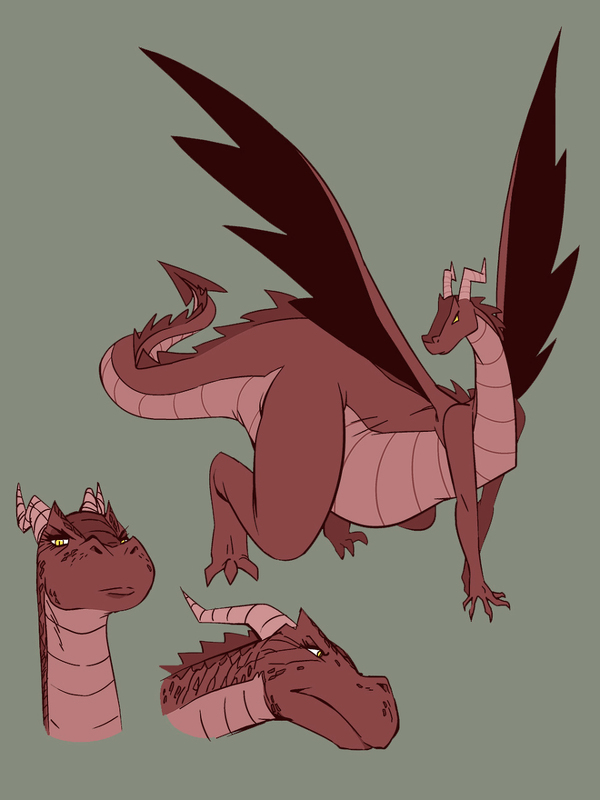 Her large wings are able to fold back and be out of the way like most dragons, but can shrink and grow to be manageable. Her scales are ebony, with a deep purple underbelly. Her teeth are barb like, developed to grasp and hold rather than tear and crush, suited to a predator who swallows much of her prey. She has five fingered claws as mentioned before, which can tear through the strongest of shielded tank armor, as well as grasp things with her opposable thumbs. Her scales themselves render most small arms almost useless, save heavy penetrating weaponry. Her mouth glows with an eerie yellow like her eyes, her yellow tongue forked and snake like. 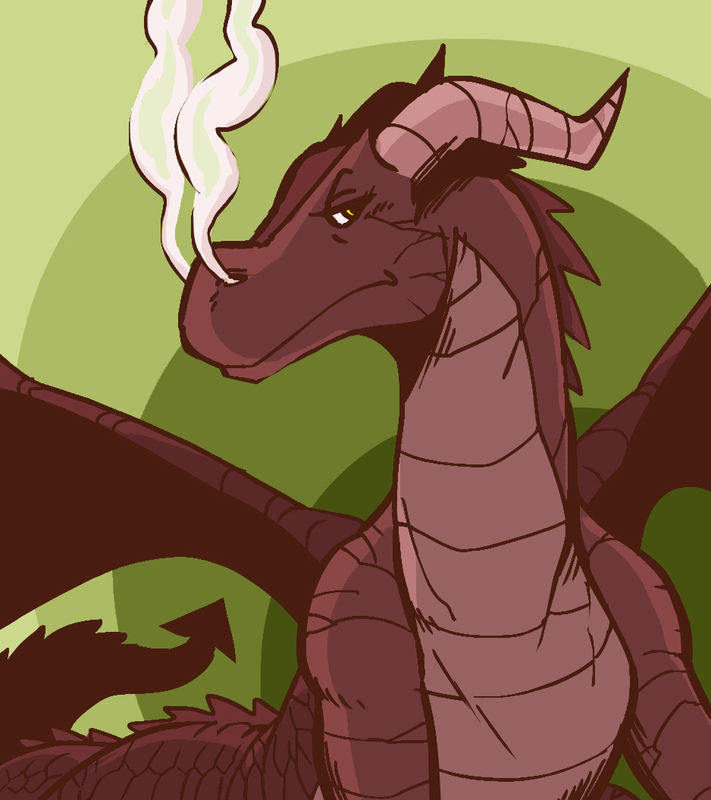 Argayrth is a dragoness who was ‘trained’ by Olivia Dragonbelly, the famous magician in Galideno City. She has a unique relationship with Olivia, who on the outside treats the dragoness as an oversized pet she uses now and then for her stunts, but behind closed doors as a revered creature of wisdom and power. She helps Olivia out, and is a powerful weapon for the magician gangster, given their mutual relationship and ‘friendship’. Being from Renoa, she is oddly stunted for a dragoness, and has the eerie glow of those odd woods. In Rolan, she is referred to as the Lord of Yellow, due to her glowing eyes, and as a creature of power. Many Rolan-born fear her ebony body, and glowing eyes. 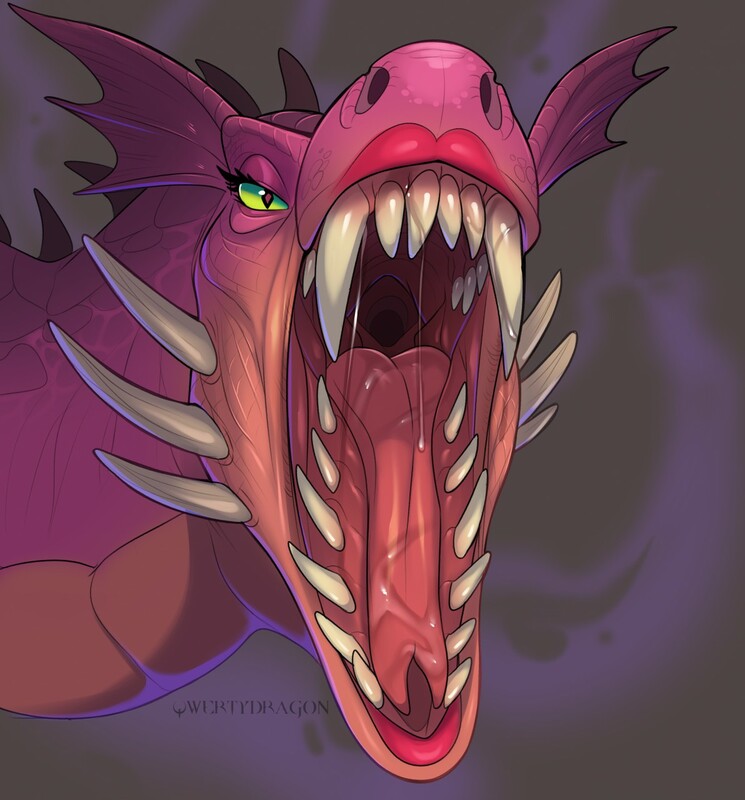 Swallow: A dragon of her size can easily swallow creatures smaller than herself whole. In fact, this is the only way she can ingest her prey. Fire breath: She can breath and spew glowing greenish-yellow fire from her maw that has enough heat to melt titanium into a bubbling pool. Black Vines: She can summon forth inky black vines and thorny barbs from the earth. They disappear when she leaves the area she conjures them. 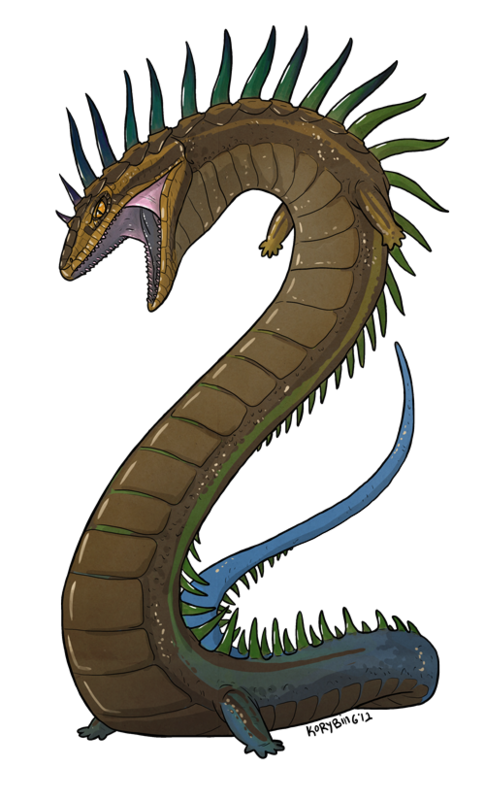 Body/Physical Appearance: A long serpentine body with greenish brown scales and a ribbed brown scaled underbelly. He has a massive head with large, glowing silver eyes. Dark hair falls from his head and down his upper neck. He has massive elk like horns adorning his skull, a large maw filled with back curved ivory teeth with a pair of large fang-like wisdom teeth which jut from his mouth and over his lower jaw. Long, wispy whiskers adorn the sides of his wolf like muzzle. 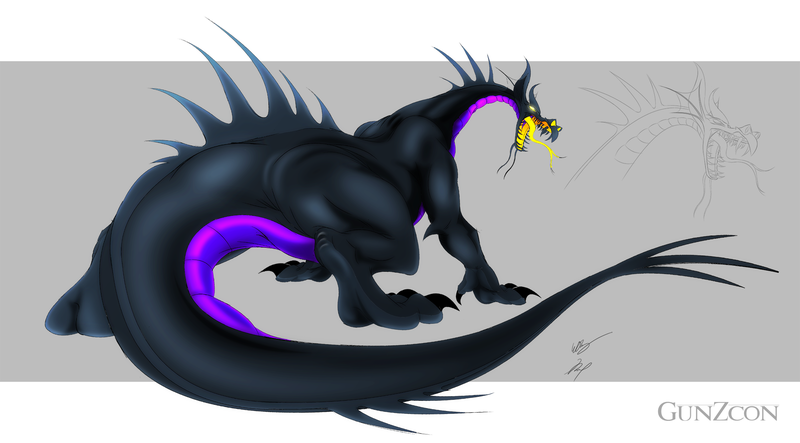 Dark spikes line the length of his spine, and ends with a prehensile, whip like tail. Xilong is one of the seven Beijionese Dragons who safe harbors the Empire from foreign invaders, as well as lends his magical talents to improve the Beijionese people’s lives by giving them bountiful harvests in exchange for spiritual power and specific sacrifices. 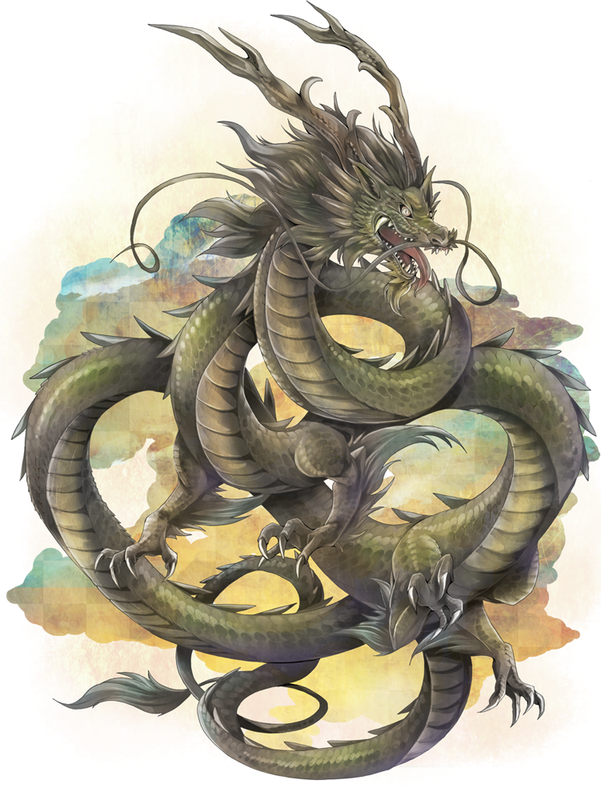 He is the elder brother to Xulong (ooc: 2657’s Beijionese Serpent account), who also protects the Capital of Beijio; but of the two, Xilong is a bit more chaotic. He is always changing his morals, but ultimately is loyal to the Beijionese Empire, never provoking the Empire’s leaders directly when his alignment shifts to ‘evil’. Though loyal, he does have pride in being an untamed creature, enjoying the cushy life the Empire has given him so far. He is protective of the offerings made to him at his shrine, and will harshly punish those who mistreat or steal them. Most notably is the Ryuuzouji Xilong, otherwise known as the ‘Mirror Katana’ or Xilong’s Katana, which to him is his pact forged between the mortals of the Beijio Empire and himself, considering he helped with its forge. Bind: He can bind his serpentine form around his larger enemies. His otherwise massive form is able to simply crush smaller enemies. 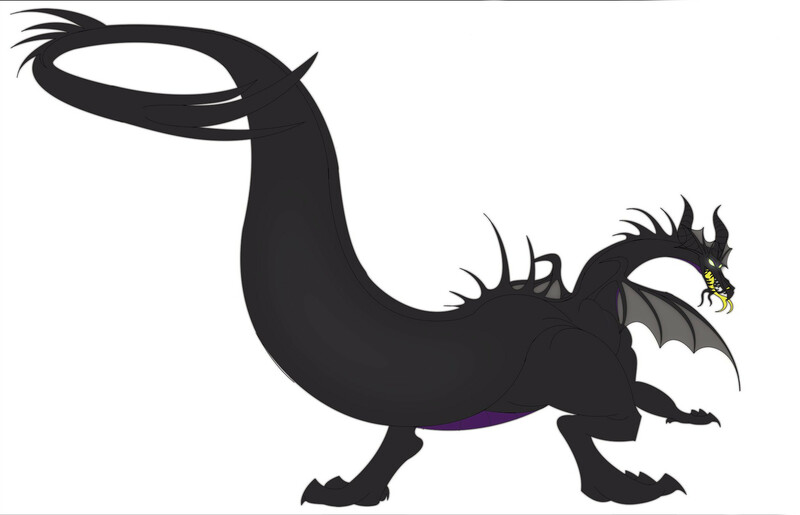 Prehensile Body & Tail: His body is snake like in spite of his razor sharp talons, and can be manipulated similarly. His tail is also highly flexible and is able to be manipulated. Expanded Senses: He has peerless senses, with enhanced sight and and sense of smell. He can even taste the air for tracking scents with his prehensile tongue, just like a snake. Flight: He is capable of flying, regardless of lacking wings as all Beijionese dragons are capable of such feats. Penetrating Talons: His long claws on each of his four limbs are long and like sharpened diamond, capable of high penetration and crushing force. His forelimbs are like mortal arms and hands, which he is capable of grasping with, and so does its hind claws. Fire Breath: He can breath and spew intense fire from his maw that has enough heat to melt titanium into a bubbling pool. Geokinesis: Xilong has the power to control and manipulate the earth, among his less combative skills involving the growth and preservation of harvests, he also has powerful magical abilities involving the earth. He is immune to his Geokinesis abilities as well as those practiced by others. Petrification Touch/Breath: By touching his foe, Xilong can petrify organic beings, turning them to stone, of various types. He can also breath a mist which petrifies all organic (save plantlife) into stone as well. Petrifying Blast: Xilong can fire a blast of gray energy through the air in a huge explosion of energy. If this blast touches anyone that is not him, that person will be petrified. Rock Body: Xilong can cover his entire body with rock like armor. Rock Spikes: Xilong can create stony pillars to jut from the earth when on solid ground. Fissure: Xilong can split the earth beneath enemies, either telekinetically or when striking his massive body to the solid ground or other earthly properties. Earthquake: Xilong can magically induce massive earthquakes. Launch: He can launch his enemies into the air by launching the earth beneath their feet. Magma Body: He can surround himself with molten rock, which burns enemies and is highly resistant to damage. Shifting Earth: He can travel through the earth uninterrupted, as if it was like sand. Eyes: Yellow green, and glowing eyes with a reptilian slit. Body/Physical Appearance: A giant magenta-red female dragon who is 100-feet long (or 30 meters) from snout to leg. She sports a pink belly, maroon spines, white spikes on her cheeks, webbed ears, bat-like wings, razor-sharp claws, and a long spade-tipped prehensile tail. She has natural, somewhat feminine markings on her face. She communicates using both her body language and loud roars. Miellil is a dangerous carnivore who has eaten many knights and Lords of various countries. Little is known of Miellil, Lord of Fire. She is a younger daughter of Amaines, that is the common theory, but no one has been able to discern this with pinpoint accuracy. She is a violent, terrifying yet intelligent creature who prowls various regions in Galiavan, but her most favored is that of the Amaine Forest, and the Feniran lowlands. She has been the death of many a knight, and valiant Lord seeking fame and credibility as a dragon slayer. She enjoys crushing would be assassins, and hording treasures, the latter a common trait among dragons.